There we have it folks, Netherlands has sealed the deal this year as their 7th title! Coming up next, we have the Men’s Hockey World Cup starting live on the 28th of November 2018. 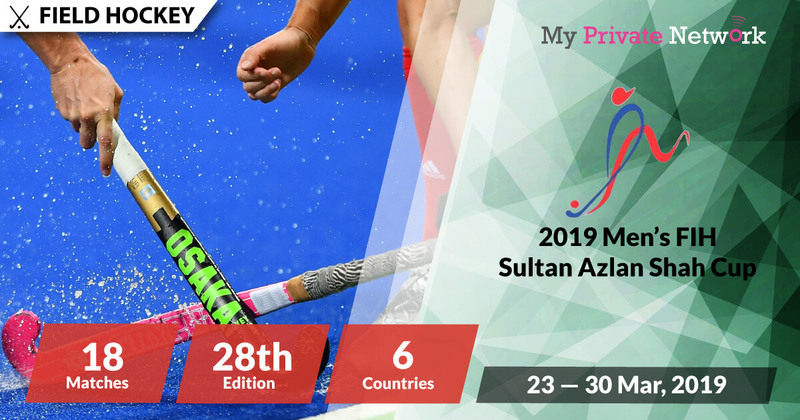 The 23rd edition of the Women’s Hockey Champions Trophy will be held in Changzhou, China this year and would also be the last edition before being replaced by the Hockey Pro League in 2019. Auto-qualified host nation, China will be joined by the defending champions, last Olympic, World Cup and World League champions who are all automatically qualified too. The providers in this list with links have been tested to work with our VPN. Click on any that you prefer to quickly access streaming instructions. Click here for the full list of official Women’s Hockey Champions Trophy broadcasters. Live stream starting on 17 November (Saturday) at 06:00UTC | 14:00CST (China time). Know your timezones? Use WorldTimeBuddy.com if you want to check your timezone accurately. Our UTC timezone is set to UTC+0 and CST timezone to UTC+8. Note: (Q) Qualified to the phase indicated. Updated official pool standings from FIH here. If you’re not currently in the U.K, Argentina, Australia, India or you’re simply geo-blocked, then you’ll need to connect to our VPN first before attempting to stream. 2) Install our VPN on any device that you’ll be using to watch the 2018 Women’s Hockey Champions Trophy. 3) Connect to our U.K (GBR) servers for BT Sport, Argentina (ARG) for ESPN, Australia (AUS) for Fox Sports, or India (IND) for HotStar. Tip: Women’s Hockey Champions Trophy will be airing live from 17 November 2018. Be sure to use the free Youtube restriction checker to see if it’s available in your country first. Tip: Women’s Hockey Champions Trophy will be airing live from 17 November 2018 on BT Sport 1 and BT Sport 3. Tip: Women’s Hockey Champions Trophy will be airing live from 17 November 2018 on ESPN. Tip: Women’s Hockey Champions Trophy will be airing live from 17 November 2018 on Fox Sports. Tip: Women’s Hockey Champions Trophy will be airing live from 17 November 2018 on HotStar Hockey. You will see the live stream link available when the game is on. We hope you found this article informative and useful. Please feel free to share it with your friends or family that want to watch the Women’s Hockey Champions Trophy too!